The Marshall Islands consists of 24 atolls and coral islands containing only 66 square miles of land. But there is actually a lot to the Marshall Islands: enough for the United States to use two of the atolls, Bikini and Enewetak, for atmospheric nuclear bomb testing in the 1940s and 1950s. (Yes, that’s where the name for the swimsuit came from. Ten days after the first atomic bomb test on Bikini Atoll on July 1, 1946, French swimsuit designer Louis Réard revealed his new skimpy creation…and named it a “bikini” in honor of the “explosive” impact it would have on the fashion world.) Also enough for the United States to maintain valuable military bases on some islands of Kwajalein, the world’s largest atoll. Because of the bases, the Marshalls chose to separate from their fellow Trust Territory districts and make their own deal with the United States. But it has not been easy, and with Kwajalein landowners balking at lease extensions, not to mention rising sea levels from global warming, the future of the Marshalls remains uncertain. Location: The Marshall Islands are located in the Pacific Ocean just east of the Federated States of Micronesia and north of Kiribati. The group is made up entirely of coral atolls and islands containing only 181.3 square kilometers of land. However, the reefs of the atolls are quite long and encircle 11,673 square kilometers of lagoon water. Kwajalein is the world’s largest atoll, with its lagoon more than 160 kilometers across. Ethnic Groups: Marshallese are the only indigenous ethnic group. They all speak Marshallese with slightly varying dialectical differences. The Marshall Islands were settled more than 2,700 years ago by the ancestors of today’s Marshallese, most likely coming north from parts of Melanesia. Two British ship captains, John Marshall and Thomas Gilbert, sailing together in 1788, were the first to chart the islands along with Kiribati to the south. In their logs, they named the islands after each other, and a Russian mapmaker made it permanent by calling them the Gilbert Islands and the Marshall Islands. The Marshallese do not have a common name for their entire group, but do have a name for each of the two chains of islands, calling them Ralik (sunset) and Ratak (sunrise). The Marshallese quickly gained a reputation for violence, as several whalers and other ships were “cut off” at various Marshallese atolls. This involved the killing of the crew and complete stripping and destroying the ship. But eventually some traders were able to establish themselves and they were soon followed by strict Protestant missionaries. The islanders quickly converted to Protestantism. Traditional dancing and medicine were abolished, among other aspects of the culture, and the Marshallese began wearing western clothing. The Spanish made almost no effort to back up their historic claim to the islands, especially after the people had converted to Protestantism. German traders did come in, and Jaluit became a center of economic activity. In 1885 Germany officially annexed the Marshall Islands. The Germans would control the group until they were occupied by the Japanese in World War I. Japan controlled the islands as part of its League of Nations Mandated Territories. After quitting the League, Japan fortified the islands as it prepared for war. During World War II, the United States invaded and captured Kwajalein, and by the end of the war the islands were in U.S. hands. In 1947, the Marshalls became a district of the Trust Territory of the Pacific Islands (TTPI). After occupying the Marshalls in World War II, the United States became the administering authority as the Marshalls became part of the Trust Territory. Unlike all other Trust Territories established by the United Nations, the TTPI was a strategic trust territory, established through the U.N. Security Council, where the United States has a veto. Obligated to prepare the islands for self-rule, the United States in fact did little. It did, however, build an important military base on Kwajalein and used Bikini and Enewetak atolls to test nuclear weapons, necessitating the relocation of those atolls’ populations. Between 1946 and 1958, the U.S. conducted sixty-six nuclear tests in the islands, including 1954’s Castle Bravo. With a yield of fifteen megatons, Castle Bravo was the largest nuclear device detonated by the U.S., as well as the worst radiological accident caused by the U.S. The radioactive fallout of this bomb, which produced a yield threefold of what the U.S. had intended, created an international uproar. As a Japanese fishing boat, Lucky Dragon No. 5, and its crew members had been in close enough proximity to be directly affected by the radiation, this event was referred to by the media as a “Second Hiroshima.” Japan raised concerns mainly over the radiation’s contamination of fish. Lucky Dragon No. 5’s catch of fish, fishing gear and crewmembers were contaminated, with one crewmember dying six months later from acute radiation syndrome. Fearing an uproar of anti-Americanism, the U.S. government quickly negotiated an agreement with the Japanese government that the reparations would be settled for $2 million in compensation to Lucky Dragon No. 5 and its crewmembers. Eventually, heavy criticism forced a change in U.S. policy towards the Marshall Islands. Primarily, the budget for the Trust Territory, the Marshalls included, was drastically increased beginning in the 1960s. A cash economy quickly developed, replacing the traditional subsistence economy, with U.S. grants supporting the Marshalls’ government, which in turn supported the economy through jobs and other government spending. In the 1970s discussions began regarding what kind of future political status the Trust Territory islands would have. Statehood in the United States, commonwealth with the United States, free association with the United States, and outright independence were all considered. The Marshallese seemed interested mostly in free association, but they did not want to stay attached to the other island groups of the Trust Territory. They requested to be allowed to negotiate their own separate free association agreement with the United States. The main reason for this was that they already had a U.S. military base and, if separate, would not have to share the rent money with the other island groups. In 1986 their Compact of Free Association (COFA) was fully implemented. From then until 2002 the United States provided almost $1 billion in various aid and financial support, much of which was for a trust fund that is supposed to provide the Marshalls with revenue when the U.S. grants end. A new agreement was negotiated between 2001-2003 and implemented in 2003. The United States is currently providing the funding that keeps the Marshall Islands viable. The current agreement for funding will expire in 2023. By that time, the Marshalls are supposed to be able to support themselves with the interest from the trust fund and other revenue sources such as the rent for the U.S. base at Kwajalein. Strict controls over how the U.S. grants are spent have been instituted by the United States. The United States provides defense for the Marshalls. Thousands of Marshallese have migrated to the United States. There is a large community of Marshallese in Hawaii. In addition, Marshallese have moved to the mainland United States, establishing communities in such unlikely locations as Arkansas. Centered on Springdale, Arkansas, there are about 12,000 Marshallese living there and in surrounding states. This is the largest community of Marshallese outside of the Marshall Islands. The Marshallese government has promised to open a consulate in northwest Arkansas to provide services for the 3,000 Marshallese living there. The two states most interested in the Marshall Islands are Hawaii and Arkansas. These have the largest concentrations of Marshallese immigrants. Compact impact money is provided to these states to help defray the costs of education, health, and other government services. However, the federal government does not provide money at the level requested by those states. An additional problem with the Marshallese deals with health. Marshallese immigrants seem to have a high rate of diseases such as HIV, tuberculosis, and even leprosy. This puts even more pressure on those jurisdictions hosting Marshallese immigrants as the sick individuals need to be identified and treated. The U.S. military is extremely interested in U.S. policy toward the Marshall Islands. There is a vital missile testing base at Kwajalein, the world’s largest atoll. It is in the interest of the U.S. military, and presumably in the interest of national security, to hold on to that base. Between 1986 and the COFA renewal in 2004, the U.S. provided $2 billion in direct assistance to the Marshall Islands, as well as $700 million through other federal programs such as job training. U.S. financial assistance to the Marshalls is so significant that it is the main contributant to the Marshall Islands’ Gross Domestic Product (GDP) and accounted for 60.2% of its budget in 2007. In 2004, the renewal of COFA with RMI and FSI became effective for the next twenty years. The Marshalls no longer has the same U.S. domestic rights it had before, such as traveling into the U.S. territory without a passport and paying domestic U.S. postage rates. Despite having to pay international postage rates, Marshall Isalanders still use U.S. ZIP codes and have their mail handled by the United States Postal Service. The Marshall Islands are not covered by the rules of International Labor Organization of the United Nations and are thus exempt from core labor standards such as forced labor, child labor standards, and the right to collective bargaining. The Marshalls exported $11,706,000 worth of goods to the United States in 2007. Most of this was in the form of copra/coconut oil and fish. The United States exported $22,875,000 worth of goods to the Marshalls. Of that, about $7,000,000 was food and food products; most of the rest was machinery, electronics, building materials, and other manufactured goods. The islands of Bikini and Enewetak were used by the United States to test nuclear weapons 66 times between 1946 and 1958. The Bikini islanders were moved first to Rongerik, where they almost starved because the U.S. Navy forgot to check on them, and then to Kili, a single island with no lagoon. The Enewetak islanders were moved to uninhabited Ujelang and then returned to the half of Enewetak that was not used for tests. This meant the people from one half of the atoll would now have to share their ancestral land with people from the other half, which has a radioactive waste dump, covered in concrete, that will remain dangerous for thousands of years. The people of Rongelap were exposed to fallout from the infamous 1954 Bravo test. They had been returned to their island but suffered much sickness and they moved off again. Bikini was cleaned up and islanders were allowed to move back, but the ground water was too “hot” and coconuts were contaminated. Most Bikini islanders want all radioactive material and soil removed. The first compact of free association established a trust fund for the islanders affected by nuclear testing, but it also prevented the islanders from suing the United States. There is belief by some that the United States deliberately exposed Marshallese to radiation, and that makes people question the validity of the compact’s restriction on lawsuits. Claims were filed anyway, and the United States recently announced most suits had been settled and they were working on the remaining ones. The problem is exacerbated by the population growth. The population of Bikini was less than 200 when they were moved off in 1946. Today the number of Bikini islanders, most of whom have never been to Bikini, is 3000. Kwajalein islanders are restricted from visiting many of the islands on the atoll. The United States has bases on two widely separated islands, Kwajalein and Roi Namur. Marshallese working for the base on Kwajalein may not live on the base. In the afternoon they must take a ferry over to Ebeye, once regarded as the worst slum in the Pacific. More than 10,000 people live on 78 acres of land. In the past, Kwajalein landowners have staged “sail-ins”, where they go to an island that is off limits, even Kwajalein itself, and camp out in protest. The living conditions on Ebeye have improved somewhat, and a causeway is being built along the reef to connect Ebeye with several islets, allowing the population to spread out more. For their part, the Kwajalein landowners do not agree with the terms of the rental agreement between the Marshall Islands government and the United States, particularly with the amount they are to receive. The United States only negotiates with and pays rent to foreign governments, not foreign citizens. The main problem is that the United States’ agreement with the Marshalls calls for use of the base through 2066, with an option to extend to 2086. The current lease expires in 2016, and unless the Kwajalein islanders get an agreement they accept, the United States may lose its base. That, in turn, would be devastating for the Marshalls’ economy, as the base is its most lucrative resource in terms of both rent money and jobs provided. What the United States will do if faced with actually losing the base remains to be seen. The stringent controls on spending implemented by the United States for the funding under the current compact has angered many Marshallese, who feel they have the right to spend the money however they wish. While the United States and the Marshall Islands have maintained positive and cooperative relations, the two nations face conflict in their claims over Wake Island. In addition to RMI and U.S. government disputes over their territorial claims over Wake Island, a separatist group that goes by the name of “Kingdom of EnenKio,” argues that the land is rightfully theirs. This latter claim originates from oral folklore that suggests that a group of Marshallese travelers were the first to inhabit the land of the kio flower, the land they would call Enenkio. Both the Marshall Islands as well as the United States deny this claim. Marshall Islands's Ambassador to the U.S.
Marshall Islands's Embassy Web Site in the U.S.
Martha L. Campbell was sworn in as the US Ambassador to the Republic of Marshall Islands on August 21, 2009. After the US signed the Compact of Free Association, Martha Campbell actually opened the first diplomatic post in Majuro in the Marshall Islands in 1987. Born Martha Larzelere, Campbell grew up in East Lansing, Michigan, where her father was a professor at Michigan State university. She received her B.A. in history from Kalamazoo College in 1972 and went on to earn her M.A. in modern European history from the University of Notre Dame the following year. Campbell has been a member of the Department of State’s Foreign Service for nearly three decades. 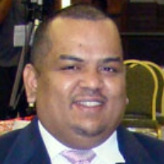 After joining in 1980, Campbell served as Management Officer at US embassies in The Hague, Stockholm, Budapest, Majuro and Paramaribo, Suriname. She was also a consular officer in Rotterdam and Chief of the Political/Economic Section on a second tour in Paramaribo. In Washington, Campbell served in the Executive Office of the Bureau of European and Eurasian Affairs, as a Special Assistant to the Under Secretary for Management and as a Career Development Officer. 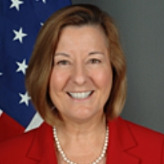 Campbell most recently served as the Dean of the School of Professional and Area Studies at the Foreign Service Institute. Her responsibility was to train State Department and interagency employees in support of foreign policy assignments around the world. Campbell’s husband, Arnold Campbell, also had a career in the US Department of State as a Foreign Service Officer, and is now retired.